A large plant doesn’t always mean it is a better plant. 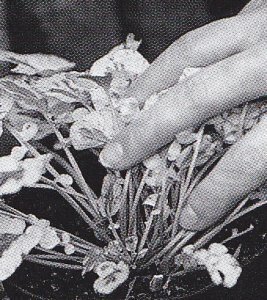 Small bedding plants will normally establish themselves quicker and produce better-shaped specimens than those that are tall, leggy and in flower. 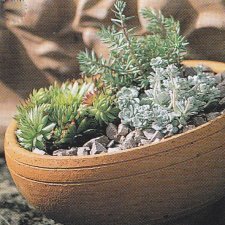 If the foliage is dry, pale green, yellowing or wilting don't buy. Healthy plants should have lush green foliage and a uniform pot full of growth. A well-balanced shape indicates a plant grown evenly and healthily. If you see Mosses and liverworts on the surface of the compost this is a good indication that the plant is old stock and is best avoided as it is likely to be pot bound. If you are going to buy bare rooted stock the plants should be of a good size and taken from a frost free area of the garden centre to avoid root damage caused by cold weather. 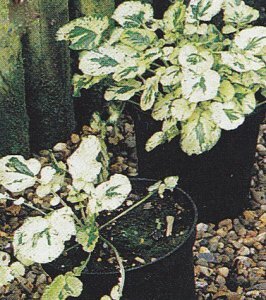 Also choose plants that are not too wet and who's foilage is in good condition. 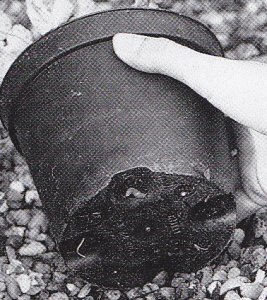 When buying container grown plants check the roots to make sure the plants are not pot bound. If you are buying bedding plants in polystyrene trays with roots protruding from he bottom this should no be a problem. Just check that the plants are healthy. It is tempting to buy plants in full bloom. It is better though to purchase plants that are not in flower. In this way you will get the benefit of the blooms after you have planted them. Also it is better if the plants energy is all going into leave and root growth in the early stages of being planted. 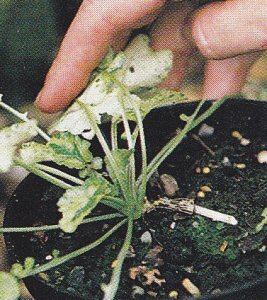 Plant your bedding plants as soon as possible so the roots can get established in the growing medium. If plants are neglected they take longer to recover and don't thrive as well. Also remember that even though you can buy half-hardy annuals in late spring, they should not be planted outdoors until the risk of frost has passed. The garden centre you choose should be clean and orderly, plants should be labelled, priced and arranged in groups according to type. Gardeners are a generous and friendly bunch. If you're new to your area pick out the prettiest garden in your neighborhood, introduce yourself to the owner and ask for recommendations on where to shop for plants and garden supplies. It is clear which of the two Ajuga reptans to the right are healthy and which is suffering from neglect. But two simple checks will eliminate less obvious problem plants. Check under your planters for weeds and signs of infection, such as the slug at the bottom of the planter to the right. Lift the leaves and look for evidence of damage and disease. The sick plant to the right is thin and its leaves have been nibbled. The healthier plant to the right is bursting with life and new growth.